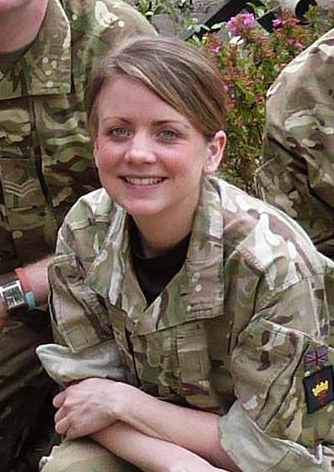 Lance Corporal Kayleigh Compson is currently assigned to the Band of the Scots Guards, part of the Corps of Army Music. She is normally seen in red tunic and bearskin on major ceremonial events around London but volunteered to go to Ethiopia with a Corps of Army Music Short Term Training Team. 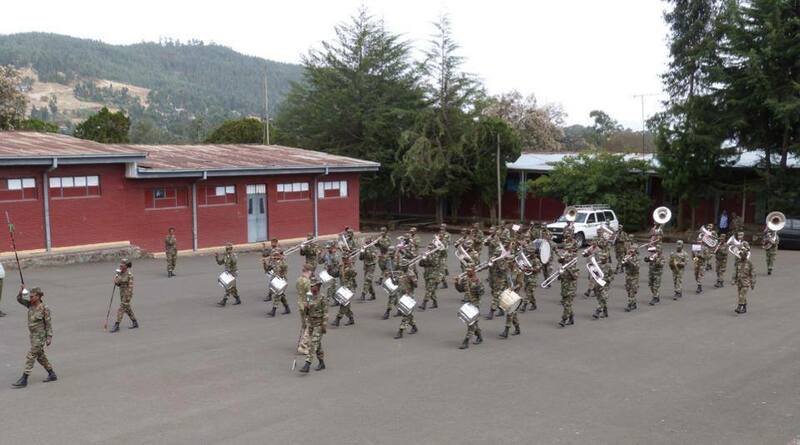 On day one the Ethiopian National Defence Force Band (ENDFB) were on the parade square demonstrating their marching band and Corps of Drums. This helped establish a starting point for training and areas that we could develop and expand upon. We were very impressed with their marching and how they played together as a band. The Corps of Drums was very polished and impressive. This led us to break down into smaller groups for sectional rehearsals. Instrument maintenance is very basic within the band, so we also each gave a lesson on how to clean and look after instruments correctly, and to make best use of equipment they have within their stores. On the second day our Bandmaster Warrant Officer Class Justin Teggarty gave the ENDF Band a Power Point presentation on CAMUS, our role and the effect of Western military music. They were all interested in learning about our bands and asked lots of questions afterwards about the different groups which the army has and were very pleased to see that the British army had pop groups. We then all came together and had our first full band rehearsal. We had brought along the hymn Abide With Me the band played this extremely well. Their own conductor conducted this piece and the Bandmaster would give useful points how to rehearse a band to get the best out of the musicians. Next day arrived and we could hear all the sections practising the warm-ups we had gone through with them on the Tuesday. This was very pleasing to hear. The morning was spent with the BM giving them an insight into Western music. They enjoyed learning out how our music had evolved and they liked listening to our music over the years. We then went out on the parade square and the Lance Sergeant took them through some drill. This included slow marching and breaking into quick time, without any instruments. On the following Monday morning we were introduced to their Big Band. The Ethiopian band has a great passion for jazz and big band music so we thought we would give them In The Mood (Glenn Miller) to learn and work on. After lunch we briefed the band about the ‘Flashmob’ idea (Something CAMUS has successfully delivered across the UK in 2013) and they were all really keen to do it. Their CO Colonel Kilbrom, had the perfect place for them to perform, and everyone including the staff were excited The big band were putting their final touches to In The Mood. They clearly had been practising as the piece sounded great and the solos were outstanding. We then took the Big band outside and they performed it to the remainder of the band. This was the first time they had performed a new ensemble to their peers and it went down a storm. ENDFB Big Band rehearsing Glenn Miller’s In The Mood. 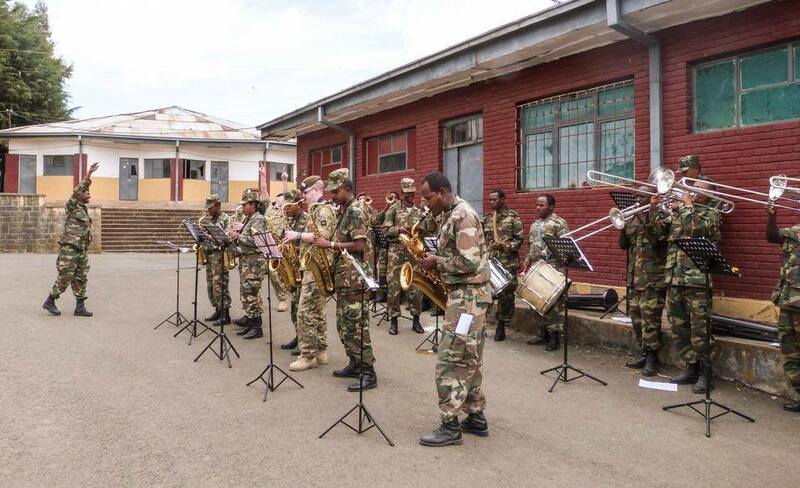 During the trip the ENDF Band made history, and performed their flashmob at the Ethiopian National Defence Force Army Ground Force Headquarters. Once we arrived at the camp the band got into their positions and hid from the rest of the camp. I started off with a ‘drummers call’ to sound that something was happening. People came out of their offices, out of the coffee shop and surrounded the parade square. One off the Ethiopian Band drummers came to the centre of the parade square to play the solo at the start of Highland Cathedral. Section by section the band came out until eventually the whole band was there. The flashmob was a great success and the band said they would do this again around the city. On one of our days off we travelled to the Menagesha Suba National Forest Park. This forest was the first National Park in Africa and dates back to the 15th century. After almost three hours of travelling in our 4×4, we finally got to the forest. We then travelled a further 5kms through the forest by vehicle and then walked the rest of the way through the forest and up the mountains. The views were breathtaking from 3080m above sea level. The air was very thin and we all admitted we found it harder to breath. Along the way we managed to get talking to some children who lived up in the mountains. They were more than happy showing us around, telling us about their lives in the mountains and how they have to walk three miles to get to school each day. On the way back from the mountains we travelled through vast areas where transport was horse and cart, children were carrying wood for fires, women and children were walking for miles to get to the water pumps, carrying at least 3 water containers each. We all were extremely shocked, and the mood changed in the vehicle to be more subdued. We had only seen city life in Ethiopia so far, but today we saw what living in Africa is really like. We were now on our final week of the three-week tour this week was all about putting the final touches on to the performance that will be shown on Friday morning. We started off with full band where we were working on the Mask of Zorro. The band was only used to marching so all their music is played at the same tempo and in a similar style. For the parade on Friday we wanted to start the marching display off with a fanfare. The fanfare we chose was from the opening of Olympiada by Samuel Hazo. The afternoon was spent with some new recruits from the Somali region of Ethiopia. These recruits are based at the camp for two years to learn how to play an instrument, read music and march. The Bandmaster gave them a presentation on ‘Practice and Performance’. All the information was completely new to them but it was a presentation that will be a great help to them in the future. This morning started off with a session of full band where we worked on the fanfare from the day before. This will be played outside on marching band so the percussion were trying to learn it off by heart. We then went outside and Lance Sergeant Vertigan took us through his ideas for the marching display. The band hadn’t really done any complex moves before so this was exciting for them. The Drum Majorettes had a lot of pressure on them for this display as they were leading the band. We had a recommendation from the embassy to go to an Ethiopian restaurant. We were not disappointed when we got there. The food was amazing and an Ethiopian band and dancers performed all night, even when the power went out. We were all shocked at how energetic their dancing is and even a couple of us got up to have a go. Our dancing didn’t last very long as we soon realised we weren’t very good at it. We all went home feeling extremely full and had a great evening. On our final day we all had mixed emotions. We were all looking forward to the final ceremony but also knew that this was the end of a fantastic three weeks. We had grown close to the band and were sad to be leaving them. We got to the camp and did a rehearsal of the ensemble pieces and the marching band. The band then put on their extremely bright green and red uniforms and started warming up before the guests arrived. Lots of guests were coming to the show, including the Defence Attaché of the British Embassy, Colonel Mike Scott. The Commanding Officer of the camp Colonel Kilbrom, all the training instructors of the band and all of the Somali Police recruits were there to watch. The ensembles were played perfectly, we all couldn’t have been more proud of them. The guests then had some traditional coffee while the band got ready for marching band. The marching band was a great success they had remembered everything we had taught them. Their marching and the music were faultless. As the parade came to a close the Defence Attaché presented some of the seniors of the band with some certificates we had made for the band. We then all went up one by one and got presented a traditional Ethiopian shirt, and the women also got a scarf. We all were extremely grateful and humbled to be receiving gifts. The guests left and we were told to put on our gifts as we presented the band with our presentation. We had got them a CAMUS plaque and we had made a picture collage of photos we had taken throughout the three weeks. They like the photos and were all keen to find themselves on it. It was then time to leave; we packed up our office and said some very emotional goodbyes. 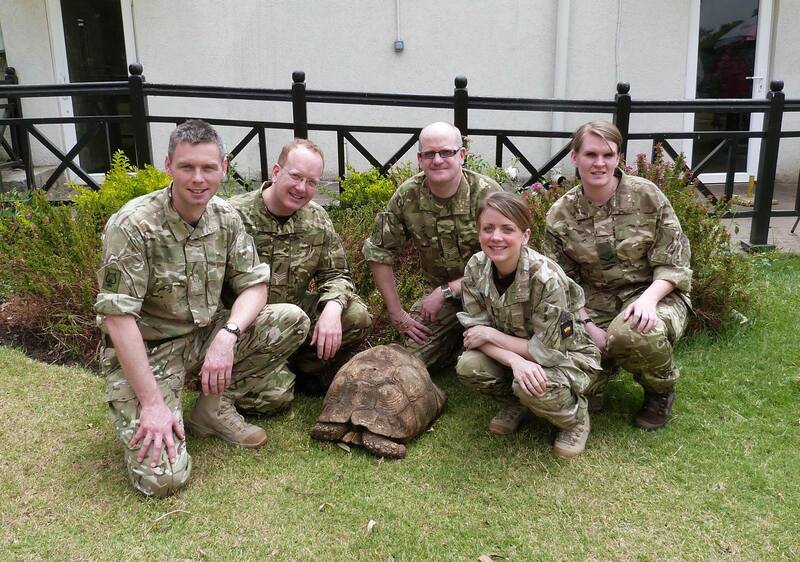 The STTT have had an amazing three weeks here in Ethiopia and we have all said we could come back here in a heartbeat. Not only have we given our knowledge and experience to the band, we have made some great friends here. We all are looking forward to returning to the UK but secretly wish we were staying for longer.